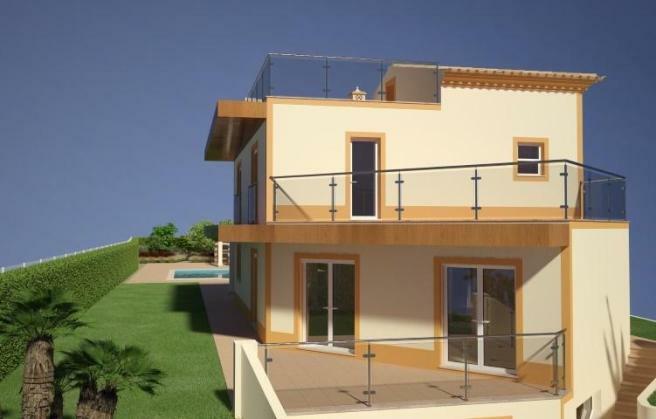 Fantastic modern brand new villa with a garage and swimming pool in Praia da Luz at a straight walking distance to the beach! 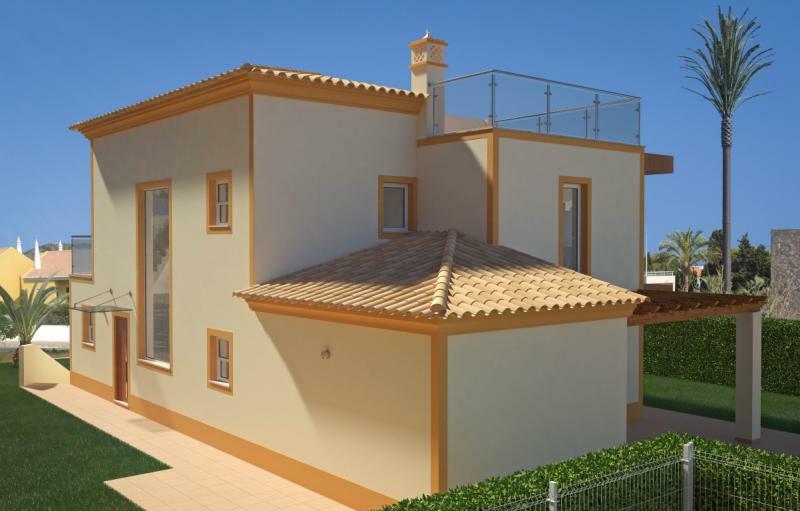 A villa under final terms of construction, spread on three floors plus roof terrace, set on a plot of 1.130 m2, with a garage for 4 cars and private heated swimming pool, located in Praia da Luz, close to all amenities and just a few minutes walk to the beach. The main entrance to the accommodation is made by the ground floor comprising a hallway leading to the living and dining area, a fully fitted kitchen with integrated appliances, 1 double bedroom with fitted wardrobe and an en-suite bathroom and a guest's toilet. The top floor offers 2 double bedrooms with fitted wardrobes and en-suite bathrooms each. Both bedrooms have direct access to a large roof terrace boasting panoramic views of the surrounding area. Down on the basement, accessible from inside the villa and the garage, there is a technical and utility room, a games room and a toilet. 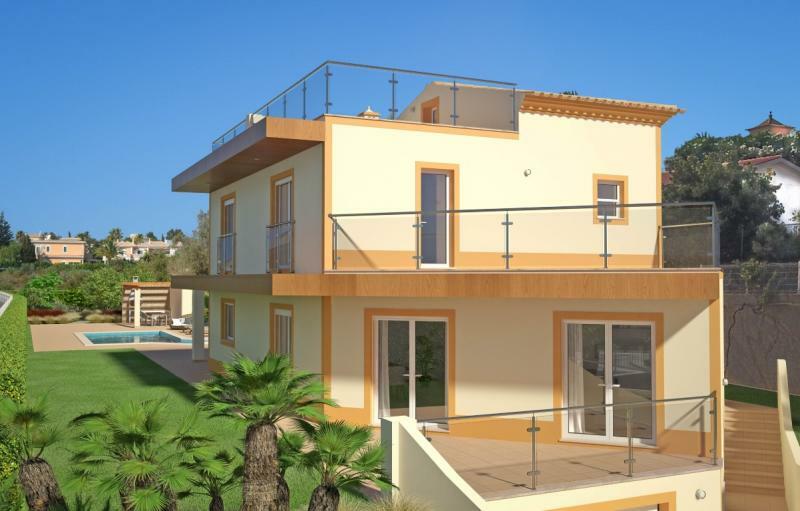 The property will have a full garden with automatic irrigation system installed, a sun terrace with a heated swimming pool and a summer kitchen with a barbecue. Further features include: double glazing, electric and insulated shutters, underfloor heating and cooling system using an air pump with regulator, electric remote controlled entrance gates. 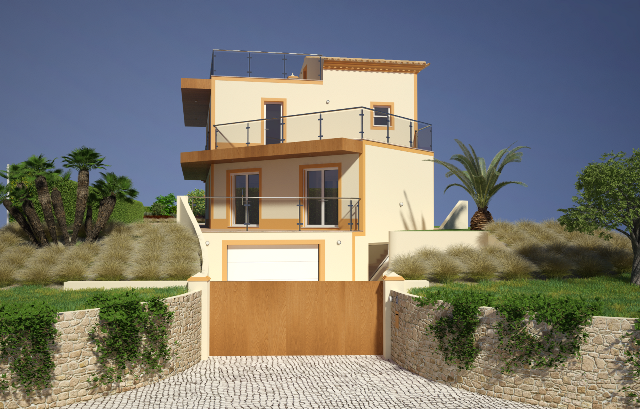 This is a modern and large villa on a top position of Praia da Luz that will be ready to move in early 2019.